I joined Erik Schatzker and Scarlet Fu to talk about our new market research piece released today covering the 2Q13 Manhattan sales market that we prepare for Douglas Elliman. 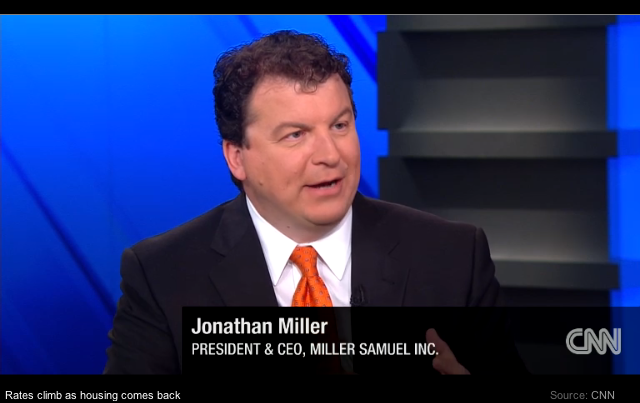 The Bloomberg TV long interview format is absolutely fantastic. On Friday I taped an interview with Christine Romans, host of CNN’s Your Money on the housing recovery and why rising mortgage rates aren’t necessarily a bad thing. She’s a very engaging interviewer – plus it’s always fun to visit the studio. This clip captures a large part of the interview – there were three more Q&A volleys on the televised broadcast omitted in this clip – they’ll be airing them in other segments. 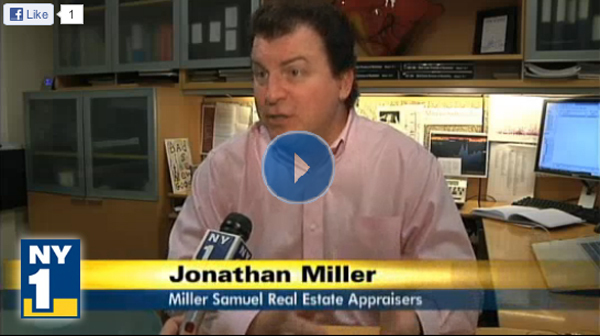 Andrew Siff, a reporter for WNBC Channel 4 in New York did a great job articulating the tight inventory phenomenon we are seeing in both the region and nationally. Jill Urban of NY1 News came by my office to talk about the state of the New York rental market – she did a great job conveying the state of the market. Had a quick but fun visit with Trish Regan and Adam Johnson on Bloomberg TV’s “Street Smart.” We covered some of the results of the 4th quarter market report on Manhattan sales I have been preparing for Douglas Elliman for years. Just before I came on to the set there was a breaking news flash that a tanker crashed into San Francisco’s Bay Bridge – quickly thought my segment would be cut but alas it wasn’t. I have a long legacy for timing like that, just not this time. I joined Dan Gross for my monthly visit on his “The Number” segment talking about the general improvement in the US housing market, FHA’s possible pending implosion and what’s in store for the market in 2013. Had a nice chat with Erik Schatzker and Sara Eisen on the top 5 closed Manhattan transactions to date (there may be a few more squeezed in). We got through 3 and then there was a breaking news event – the president was announcing the status of the “fiscal cliff” talks. Imagine that! As if the “fiscal cliff” was somehow more important than learning where the super wealthy invested their money in real estate? Ok I’m kidding. I’ll finish the list and include the top sales in a post later today when the howling snow storm hits CT.